Making a last-minute run to the store is a sure way to stop production in the kitchen, along with all creativity, and that's the last thing you want! 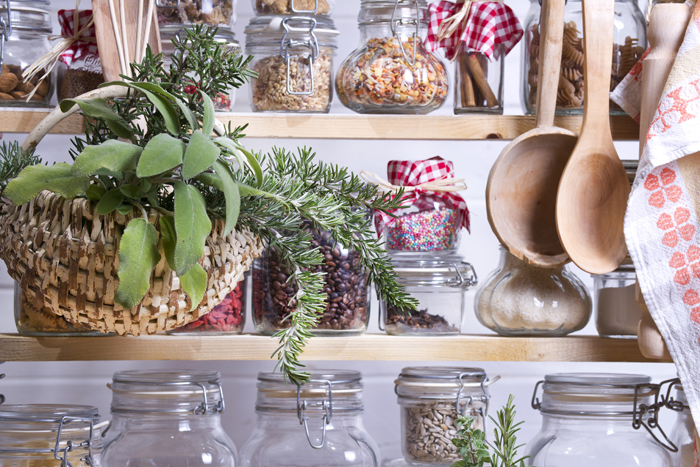 Maintaining a well-stocked pantry will keep things moving seamlessly in your kitchen. Below, we've listed several suggested items for you to keep in your pantry and fridge. In doing so, you'll be well on your way to creating healthy and delicious plant-based meals anytime. Grains are an excellent source of vitamins, minerals, amino acids, and fiber. If you buy them in moderate quantities and store them in tightly sealed containers in a cool cupboard, they will last a very long time. Add a bay leaf to your grain jar to keep any bugs out. Dried legumes are rich in fiber, and provide a good deal of protein and minerals. Stock a variety of the following for a healthy vegan diet. Everyone’s diet should include a variety of fresh fruits, vegetables, and herbs. Along with great color, texture, and flavor, they provide needed vitamins, minerals, and fiber. The nutrients in fresh produce decline quickly, so shop only for what you can use within a few days. Onions, shallots, garlic, potatoes, sweet potatoes, and winter squash. Apples, avocados, bananas, citrus fruits, mangoes, papayas, pears, pineapple, and melons. Artichokes, asparagus, carrots, celery, green beans, salad greens, broccoli, cabbage, cauliflower, beets, rutabagas, green onions, ginger, chilies, parsley, cilantro, basil, eggplant, zucchini, and other summer squash. Utilizing your freezer is an excellent way to keep the "basic four" on hand; green beans, yellow corn, diced carrots, and green peas. These four vegetables can be used in making a variety of soups, stews and other main dishes, as well as convenient side dishes. Natural food stores are an excellent place to find a wide variety of dried fruits. Dried fruits should be kept in airtight containers, such as glass jars with tight-fitting lids, and stored in a cool, dark place. Bear in mind the sugars and calories in dried fruit are concentrated, so you might want to eat them in moderation. Dried apricots, dried cranberries, dried figs, dried mangos, prunes, raisins, and sun-dried tomatoes. Seaweeds, or sea vegetables have been consumed and enjoyed for centuries. 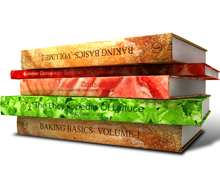 They add great flavor, variety, and nutrition to a healthy vegan diet. They're an easy-to-digest source of minerals, and they offer a healthy dose of fiber to the digestive tract. While Kombu is traditionally used to make a flavorful broth and makes an excellent addition to a pot of beans, wakame and hijiki can be served raw in salads after reconstituting them, and they're also amazing when stir-fried, or cooked up in soup. While Nori sheets are most commonly used to make sushi, they can be cut up and used in soups as well. Dulce, Hijiki, Kombu (kelp), Nori, and Wakame. There has been quite a bit of research on soy products, and while some are quick to put it down, others defend it to the death. The truth is, when eaten in moderation, soy is an excellent alternative for anyone who is lactose intolerant or skipping dairy for other reasons. Soy is low in fat, high in protein and fiber, and may even be linked to the prevention of cancer. Miso, light and dark, Soy milk, Tamari soy sauce, Tempeh, and Tofu. Nuts are an excellent source of protein, B vitamins, phosphorus, iron, and calcium. They add flavor and texture to everything, from salads to desserts. Using nut and seed butter such as almond butter, peanut butter, and sesame butter are another way to incorporate nuts and seeds into your diet. The healthiest nut and seed butter should contain nothing but the nut or seed itself, and maybe a small amount of salt. Any other ingredients are unnecessary. Nut and seed butter will need to be refrigerated once they have been opened as they tend to go rancid quickly when exposed to light and air. Oils play a significant role in any healthy diet. Seed and vegetable oils are healthy fats and should be included in your diet but eaten in moderation. Lard, shortening, and hydrogenated oil, on the other hand, is subjected to high heat, intense pressure, and chemical corruption. Compromised are both taste, and nutrition during this process; including lecithin, a vital participant in fat metabolism, as well as vitamins A, B, E, and K.
Amazing things begin to happen when you add herbs and spices to your cooking. Whether you use fresh, dried, ground or whole; herbs are your go-to magic wand in the kitchen. While dried herbs have a stronger flavor and get added early in the cooking process, fresh herbs are commonly added at the end of the cooking process to preserve their colors, aromas, and flavors. Keep dried herbs and spices in a cool, dark place. While storing them above the stove may be a convenient spot, the heat may damage them over time. Vinegar is excellent for flavoring, and it's good for your health. Naturally-fermented vinegar made from brown rice and apple cider provide enzymes and healthy bacteria that stimulate digestion in those with slow-moving systems. Everyone enjoys sweets and knowing the healthiest sources make creating and eating them, all the better! Though honey offers some nutritional value, the fact that bees produce it, consume it, and the harvesting process destroys many, makes it an unacceptable vegan choice. There are several culinary uses for red and white wines, sherry, rum, brandy, and even beer. Wines and spirits add flavor without adding fat. During the cooking process, the alcohol is destroyed, which leaves the amount left in the finished dish insignificant. Whether for a recipe or serving at the table, condiments have long been available in the kitchen and the dining room. There are several to choose from, so pick the flavors you enjoy the most. Sometimes you need to make something quick and be on your way. So we've put together a list of convenience foods that can satisfy your hunger in a hurry. Stocking your pantry with as many of the items in this section will help make your kitchen experience pleasant, satisfying, and delicious! You might also want to check out Vegan Grocery.